Focus Features‘ biopic about Harriet Tubman, which was announced in 2016, is finally in production. The film has been teased since 2016 but not until this month, not much had been said about production. Even the directors and producers who were originally attached to the project have moved on. But the script writer, Gregory Allen Howard, and co-writer , Kasi Lemmons still remain. Lemmons has also taken over the director role which was originally occupied by Seith Mann. 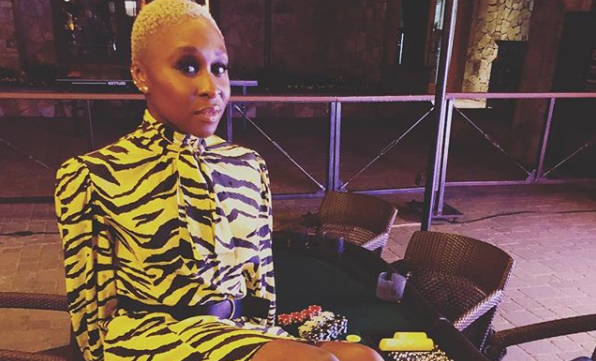 Last year however, there was an update that Cynthia Erivo was cast in the starring role. Considering we’re currently witnessing Erivo’s Hollywood roll with “Widows”, and Bad Times at The El Royale, it seems only right that production for the film starts now. On the relevance of this story, the film’s current producers, Debra Martin Chase and Daniela Taplin Lundberg, said, “While Harriet Tubman is a household name, most people don’t know the breadth of her story —not only was she a conductor on the Underground Railroad, but she was a spy for the Union army and remains one of the few women to have led an armed expedition in US history”. Production for “Harriet” begins in October and also stars Tony award-winner, Leslie Odom Jr., as well as Joe Alwyn, Jennifer Nettles and Clarke Peters. According to the official announcement, the story will focus on her escape from slavery and her subsequent returns to free dozens of slaves through the Underground Railroad in the face of growing pre-Civil War adversity.